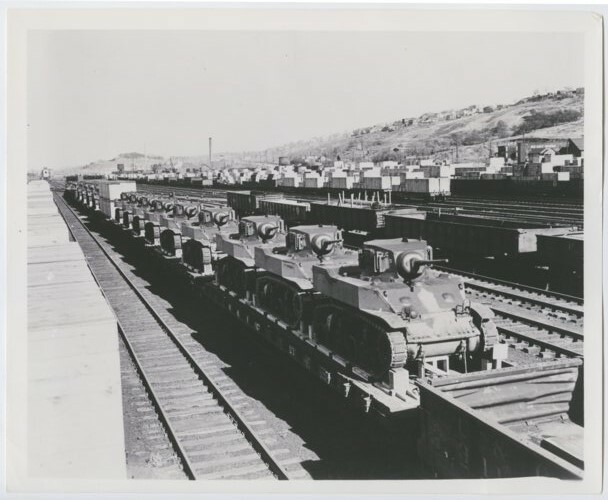 This photograph shows a fleet of United States Army tanks on flatcars at the New York Central embarkation yard. The equipment was to be shipped overseas for World War II operations. Creator: New York Central Railroad Co.